Our goal with business transactions is to help you complete your purchase, sale, deal, or negotiation with as much ease as possible for you, as well as to get what you want. 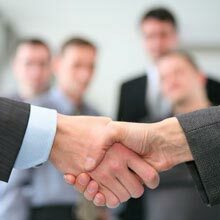 We will use our experience in negotiations and in running businesses to guide and advise you in your transactions. Kaz Uemura has been handling business transactions and formations since 1983.